During the 73rd Congress of the International Federation of Film Archives (FIAF) held in Los Angeles from April 28 to May 3, 2017, André Gaudreault (Université de Montréal) hosted a panel discussion with Paolo Cherchi Usai (George Eastman Museum) and Jean Gagnon (Cinémathèque québécoise). An opportunity to present the missions and accomplishments of the international partnership. The international research partnership on film techniques and technologies, TECHNÈS, aims to rethink film history and its methods by examining the techniques and technologies that have accompanied the medium since its beginnings. 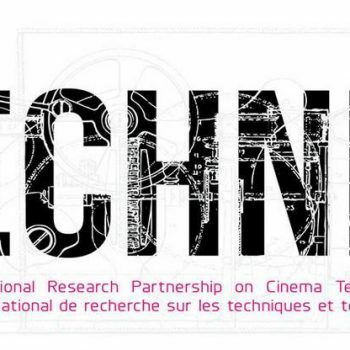 For this ambitious program, TECHNÈS is dedicated to the creation of a space for dialogue between universities, archives, cinematheques, and film schools, as well as between scholars and industry technicians.